Unlike other Safari game-drives in Kenya and Tanzania, Serengeti is so special place and I was so much looking forward to see Serengeti for the annual migration. Yes, Serengeti is known for migration of over 1.5 million wildebeest and zebras that crosses the Mara river every year.The safari experience in Serengeti was truly amazing and is definitely a gateway to wildlife actions throughout the park.Sleeping inside a tented camp in the middle of forest, hearing and listening to the sounds of elephant, hyenas at a distance close to our tents were some of the memories and unforgettable experience that I will cherish for my life-time. Serengeti means “endless plains” in the Masai language and the landscape is definitely a visual treat for visitors. You can see different shades of the terrain changing from endless open plains to thick forest areas and scenic vista backdrops. As part of our search for lions, the terrain was very different and you can start seeing animal skeleton all around. We saw a lot of wildebeest and zebras on the plains, some were relaxing and many others crossing the road.Although July was the migration season, the wildebeest and zebras have already crossed Masai Mara, so could not see that live action of the crossing in Serengeti. As Masai Mara was our next destination in Kenya, our guides told us that there is still an opportunity to watch the migration in the Mara area. The beauty of the plains and landscape transformation is primarily due to the great migration that passes through Serengeti every year. 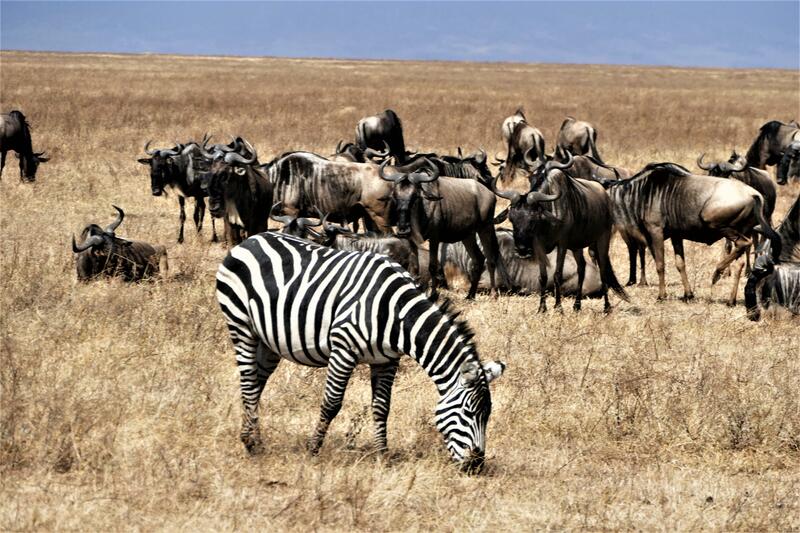 During this migration we have millions of wildebeest, zebras, gazelle migrate from Serengeti to Masai Mara in Kenya in a clockwise direction in search for food, water and expand their families. 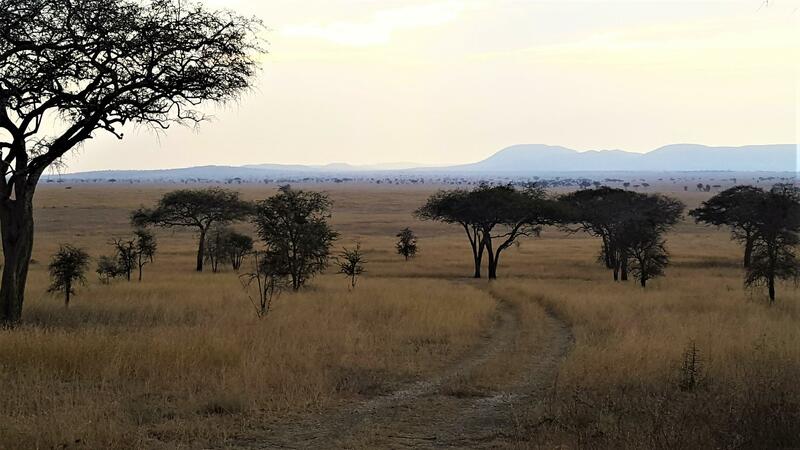 Serengeti National Park in Tanzania form 70% of the ecosystem and remaining 30% of the ecosystem is formed by the Masai Mara which is on the Northern side of the Serengeti. The ecosystem is divided into three main areas: Southern grass plains, Western Corridor and Northern Serengeti also known as Mara. Western Corridor has rock kopjes and the Grumeti River – Kopjes are rocky hill and home to many animals who live in the rocks. 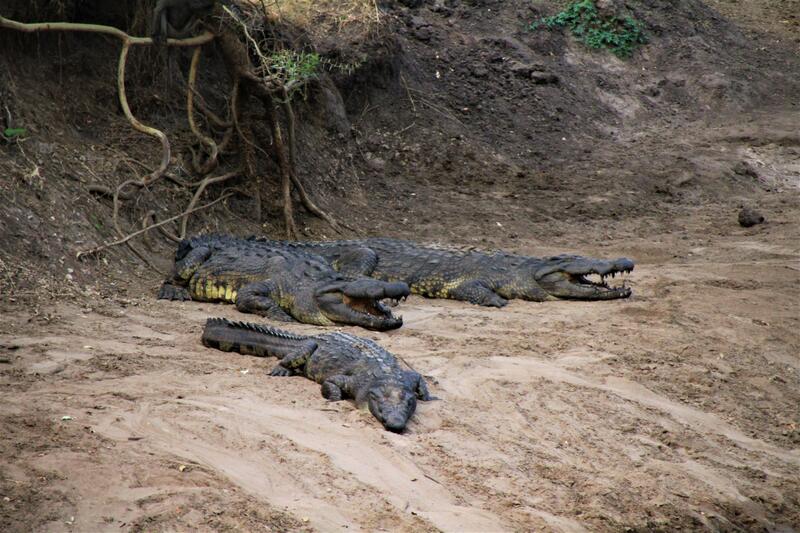 You can find crocodiles and Hippos in grumeti river and they co-exist/live together in the river. 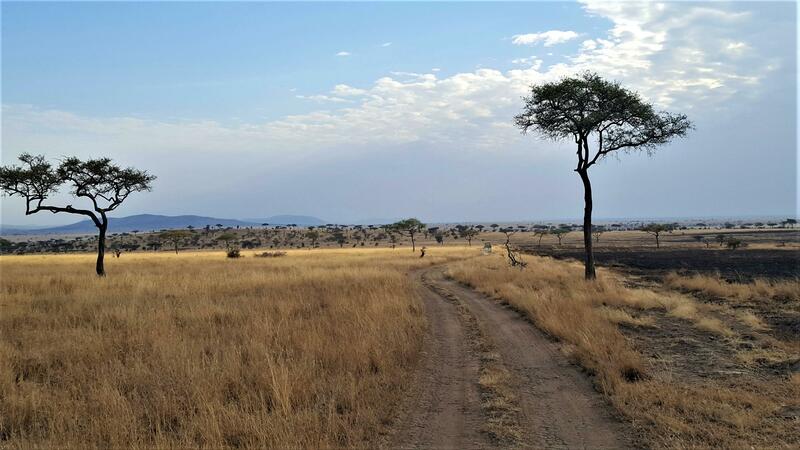 Northern Serengeti / Mara is largely open woodland, lots of lush green and rolling hills. The migration journey is not an easy task for these animals and is quite dangerous. Some of the animals die during the migration and it is indeed a tiring process for these animals. Though they do this every year, they have to be careful and protect their lives from crocodiles and lions waiting for their big meal when these animals cross the river. 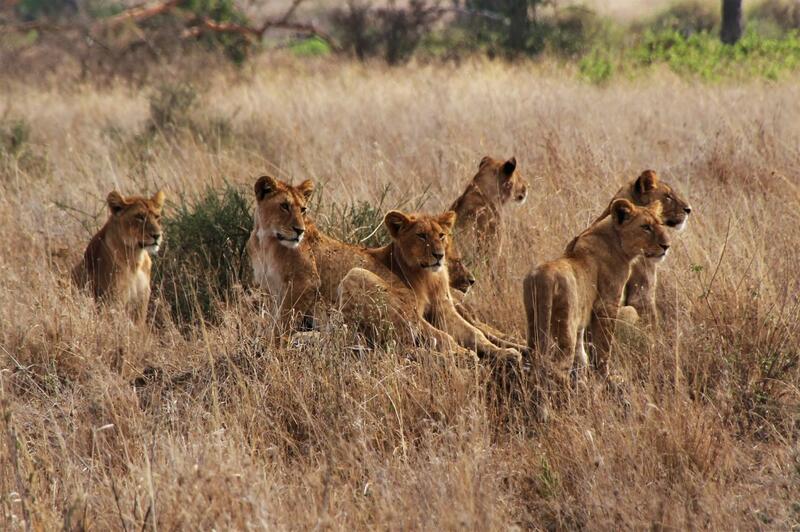 Lions are the only cats that live in groups, which are called prides. The Serengeti in northern Tanzania has one of the biggest lion populations in Africa, around 3,500 lions living in this place. As I mentioned in my other blog coverage about Kenya and Tanzania, I found lions to be the most laziest animal especially the male lions. We wanted to see a live hunt scene and were on our quest searching for them in their territory. Spotting four female lions at one place made us slow down our safari trucks and slowly we started to see more lions joining them. There were 15 lions now and it was clear they were on a plan to hunt the African Buffalo that was on the opposite side. Who was the mightiest and winner here?. The might African Cape Buffalo was a clear winner and fought with 15 lions all alone. 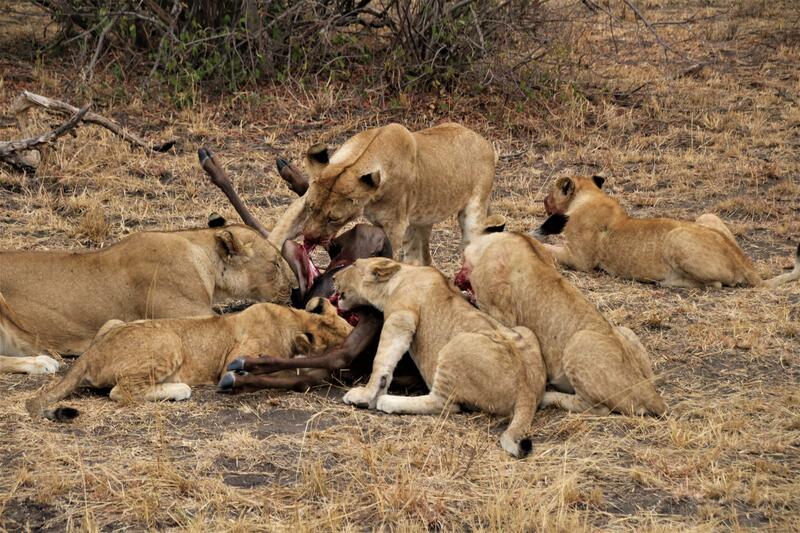 It was a great sight to watch the different strategy of the lions and the Cape Buffalo’s fearless fight with them. Check out the video below of the live action. Our first Cheetah sighting was at the Serengeti National Park and we could not get to see it neither in Amboseli nor NGorongoro Crater. 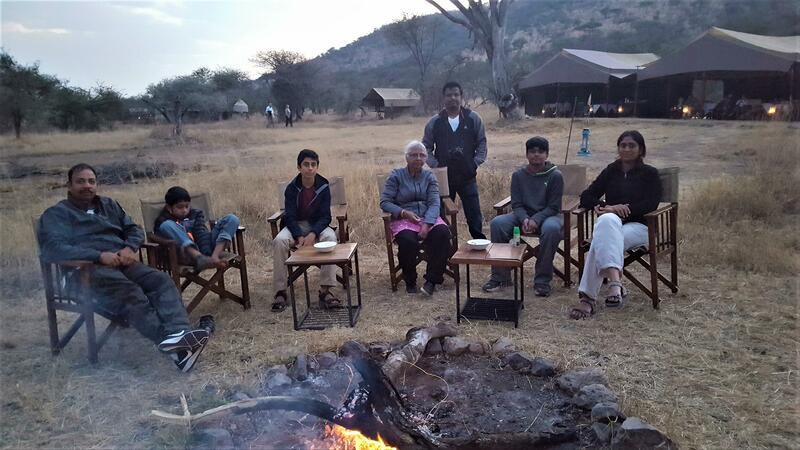 So it was a great joy for all of us in the group to spot a Cheetah. The Cheetah was restless and was moving around pretty aggressively. At a first look we thought if this was due to the safari trucks but seeing the gazelle we quickly understood that it was ready for the hunting action. 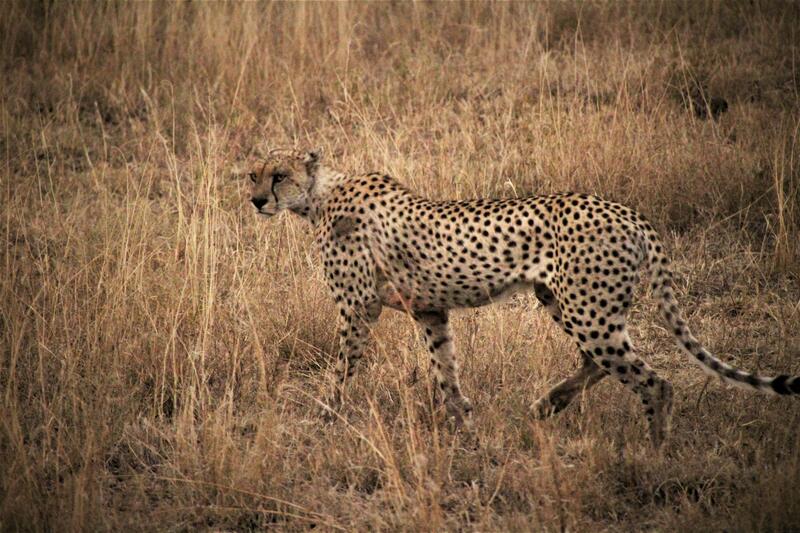 We have seen in movies and videos about cheetah run but seeing it with your own eyes was simply fabulous. 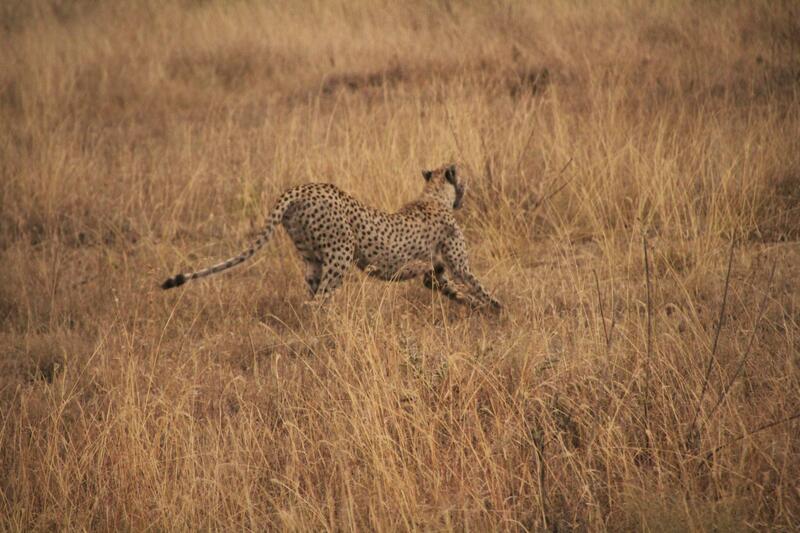 The guides were saying that it was a rare sight to watch the Cheetah chasing action and we were lucky that day. As we drove through the lion territory, we could see the place scattered with dead meat and skeleton pieces lying all around. It was an indication that we were getting closer and spotted one tired lion with a bloody face. 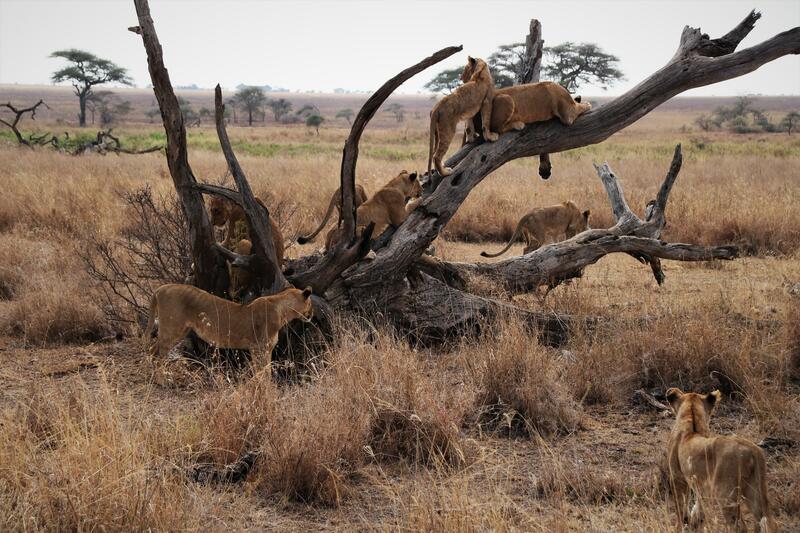 While the lion was resting we could see six to seven lion with their cubs eating the flesh of wildebeest. It looks like a fresh hunt and they were busy eating non-stop. It was little disgusting and sad to watch them eat on their prey but we need to remember that we are in the wild reserve and this is how the ecosystem works. So these herbivores animals need to be careful or they would be ending up for a good meal to the lions. Where to stay in Serengeti? Well, there are multiple options offered by Safari consultants. 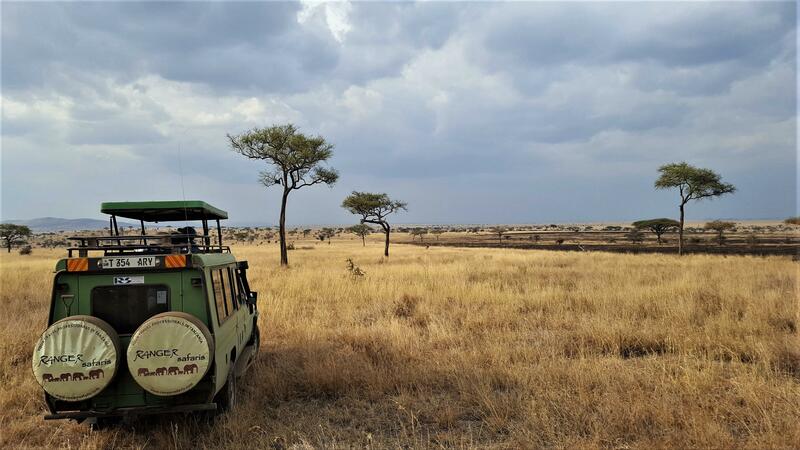 You have adventure and luxury tented camp options available in Serengeti region and totally depends on your budget. It totally depends on the budget and the amenities that you would need in these places. Serengeti is a popular tourist area and you have several luxury camps with all amenities that you would find just like in a 4 or 5 star hotel. Serengeti was covered as part of our total Safari package and we had the flexibility to choose the type of camps we wanted to stay. We did one night stay in Central Serengeti at Kati Kati and this was more of an adventure camp with some of the basic amenities. This camp was powered by solar lights and bucket showers are provided at this place. You get that authentic feel for sure when you stay in tents like this. We liked the stay and nice hot food was served in a four course style for dinner. 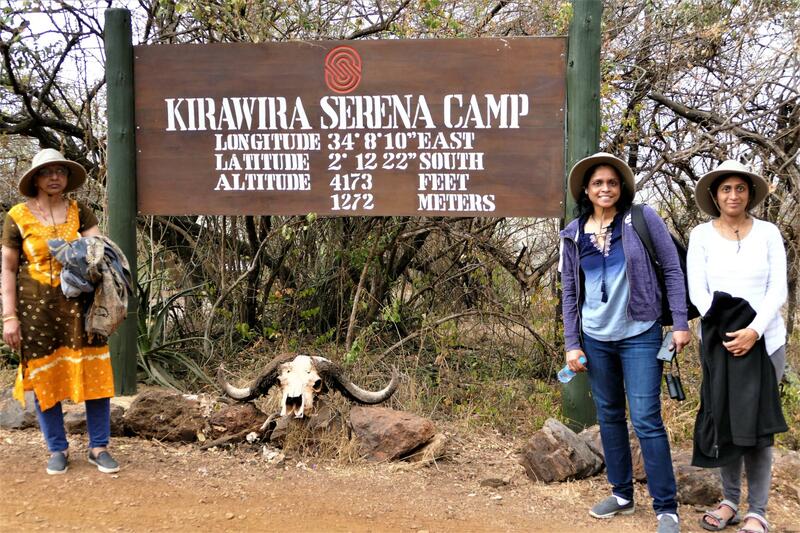 Kirawira is a luxury camp and is located on the top of a small hill.The camp has all the amenities of a five star hotel. The room is comprised of a beautiful tent with a zipper for the front-door and small stairway leading to the front-door. 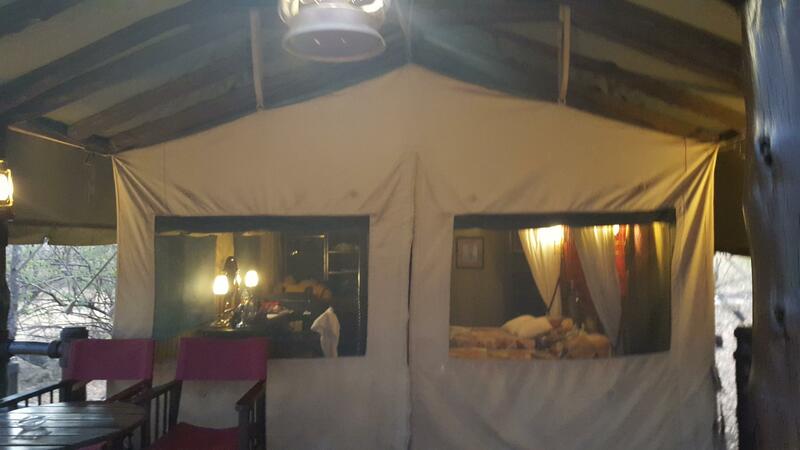 The quality of the rooms are high quality with tented mosquito tents and excellent bathroom facility that is hard to find inside a tented camp. Your tent is located in a place where there is constant animal movement and sounds in the night. 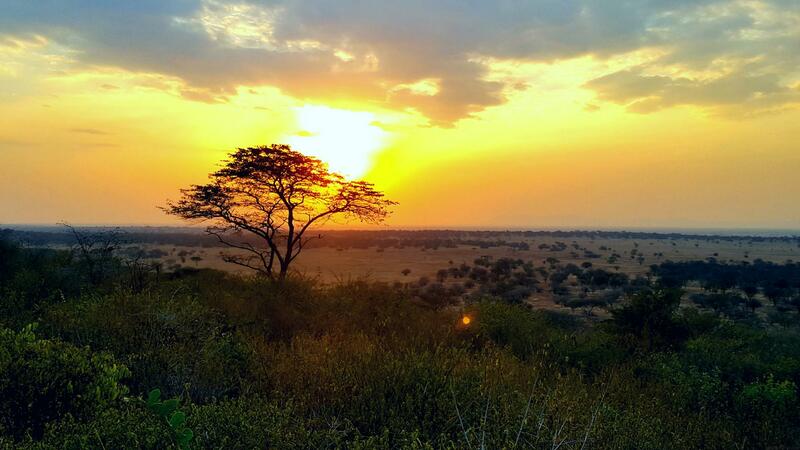 The view of the endless Serengeti is simply magical, and you can enjoy the sunset from the lounge. It was great to see the fire flies during sunset time adding beauty to the sunset colors. 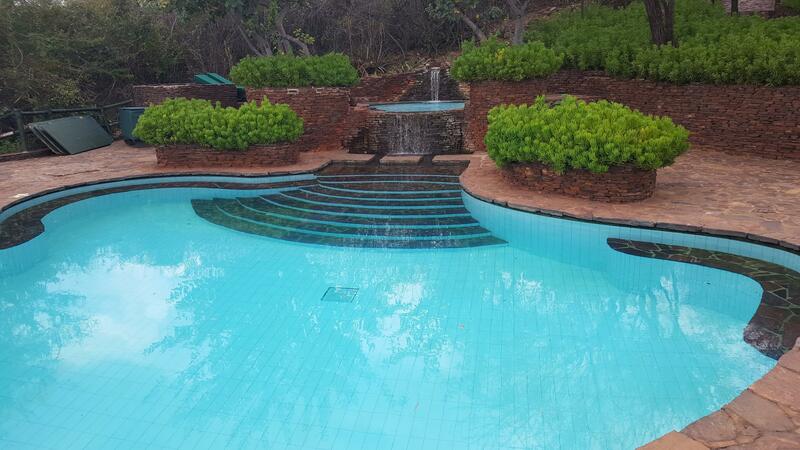 There is a swimming pool in this camp and lions come to the pool in the night to drink water. The pool closes at 7 PM and not advisable to walk alone to your rooms. Food was awesome in Kirawira as well and the service provided by the staff was very good. Sunset in Serengeti – Spot the firefly in the picture. Reduce to 2 nights in Serengeti if you are doing 2 night stay in Masai Mara. 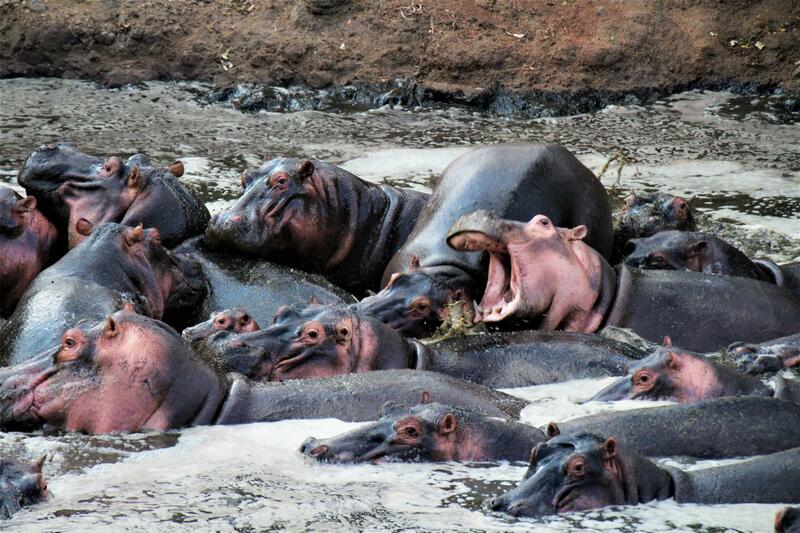 You get to cover large animal population including Big-5 in Serengeti and the migration in Masai Mara. Tsetse Flies – You will find a lot of Tsetse flies in Tanzania region especially Serengeti. We did not see much in Ngorongoro. They are large biting flies and hurts really bad when they bite. African sleeping sickness is a parasitic disease spread by the Tsetse flies but the ones in Tanzania does not cause you any sleeping sickness. They are attracted to blue color and our guides recommended to avoid wearing any blue shade dresses. The insect repellants do not work on these flies. If you are doing a Safari in Africa, you are bound to see insects and bugs. So I would not worry much and follow your malaria medications and wear full hand shirts/pants to avoid some of the insect bites. Do not drink any water from the tap – Most safari packages provide packaged mineral water bottle for daily consumption.